Also known under its longer, translated title of The Giant Buddha Statue's Travel Through the Country, Daibutsu Kaikoku (大仏廻国) is one of Japan's earliest giant monster (also known as Kaiju) films, coming out around the same time as the King Kong movies. The films focus on special effects classifies it as a Tokusatsu film. The plot focuses on a giant Buddha statue (known in Japan as a "Daibutsu") 33 meters in height. It comes to life and tours the country, mainly seeing tourist sights, before flying into the clouds and going to Tokyo. 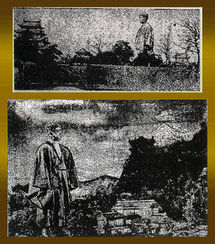 Known only by some descriptions in magazines, the movie had a few notable scenes, including the statue resting while a geisha girl dances in his palm. It also had some color sequences, taking place in heaven and hell. 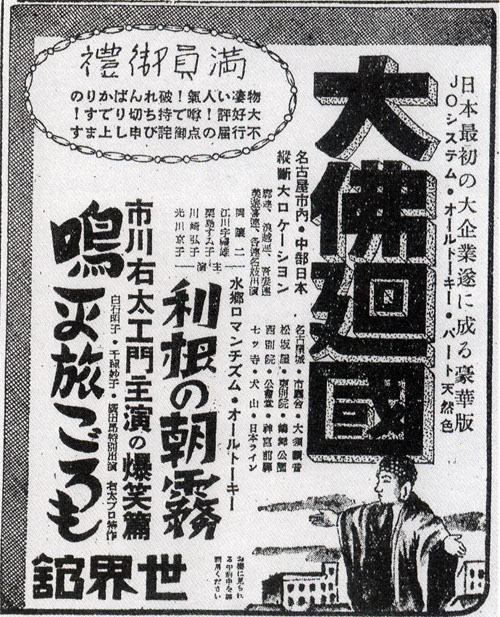 Planned to be the start of a multi-film series, the movie was only shown in a limited number of theaters and has since been lost. The only known images are from a magazine article. A couple of the existing stills from the film.